The Chevrolet Volt, a plug-in hybrid that has an advanced but unproven powertrain, and carries a $40,000 sticker price, is now the top-scoring model in Consumer Reports' latest annual owner-satisfaction survey. Ninety-three percent of respondents who own the Volt said they would definitely buy it again, making it the highest-rated car in the nationally representative survey. The Volt narrowly edged out the V8-powered Dodge Challenger and the Porsche 911, each with owner-satisfaction scores of 91 percent. Though the Volt's high score reflects the excitement surrounding GM's new electric/gasoline drivetrain, it comes with a caveat. The model had been in showrooms for only a few months when Consumer Reports' survey was conducted, and it remains to be seen if the score will hold up as the car rolls out to a wider audience and owners spend more time with their vehicles. Still, early adopters of a new technology tend to be among the most enthusiastic buyers. 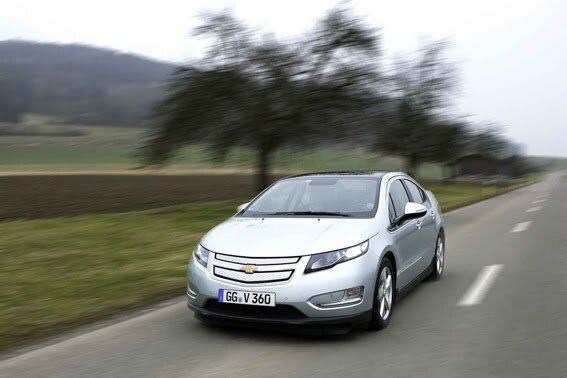 Consumer Reports' car owner satisfaction survey was conducted prior to the National Highway Traffic Safety Administration (NHTSA) announcement that it would conduct a safety investigation into plug-in hybrid sedans following an incident with a Chevrolet Volt catching fire after being crash tested. "These models reflect a larger trend we've seen in recent years: Sporty cars and fuel efficient cars with alternative drivetrains tend to generate more enthusiasm and loyalty than most other types of vehicles," said Rik Paul, Consumer Reports automotive editor. For each of the 27 models that got Consumer Reports top owner satisfaction rating-at least 80 percent of respondents said they'd definitely buy the car again-12 were sporty cars or convertibles and nine were hybrids or diesels. Brand nationality doesn't seem to be a factor among the top-rated models. The 27 models with the highest rating include 10 American, 10 European, and seven Asian models. Audi, Chevrolet, and Ford were tied with four models each on the top list. Consumer Reports owner-satisfaction survey, which drew responses from more than 314,000 subscribers on 2009 through 2012 model year vehicles, is based on the results from Consumer Reports Annual Auto Survey, conducted by the Consumer Reports National Research Center. Scores are based on the percentage of respondents who answered "definitely yes" to the following question: "Considering all factors (price, reliability, comfort, enjoyment, etc. ), would you get this car if you had it to do all over again?" Other fuel-efficient models that earned Consumer Reports top ratings include a number of hybrids, such as the Ford Fusion Hybrid, Lincoln MKZ Hybrid, Lexus CT 200h and RX 450h, and Toyota Prius, as well as diesel versions of the BMW X5 and Volkswagen Golf and Jetta Sportwagen. Sporty models that did well include the supercharged Audi S4, Audi A5 and S5, Chevrolet Camaro and Corvette, Ford Mustang GT, Mazda MX-5 Miata, and Mini Cooper Convertible. The appeal of power also extends into mainstream models, as owners of turbocharged versions are often more satisfied than owners of conventional versions of the same car. Although the Ford Flex and Hyundai Sonata, for example, are generally well liked, only their turbocharged versions earned Consumer Reports' top owner satisfaction scores. Small cars, lower-priced small and midsized SUVs, minivans, and compact pickup trucks tended to score much lower as a group. This year, only three models received Consumer Reports lowest rating, which means that fewer than half of the respondents said they would definitely buy the car again. They are the Chevrolet Aveo (37 %), all-wheel-drive Toyota Matrix (43 %), and Chevrolet Colorado pickup (47 %). Full Consumer Reports' owner satisfaction survey findings are available online at www.ConsumerReports.org now. Findings will also be in the January issue of Consumer Reports magazine, which goes on sale December 6.